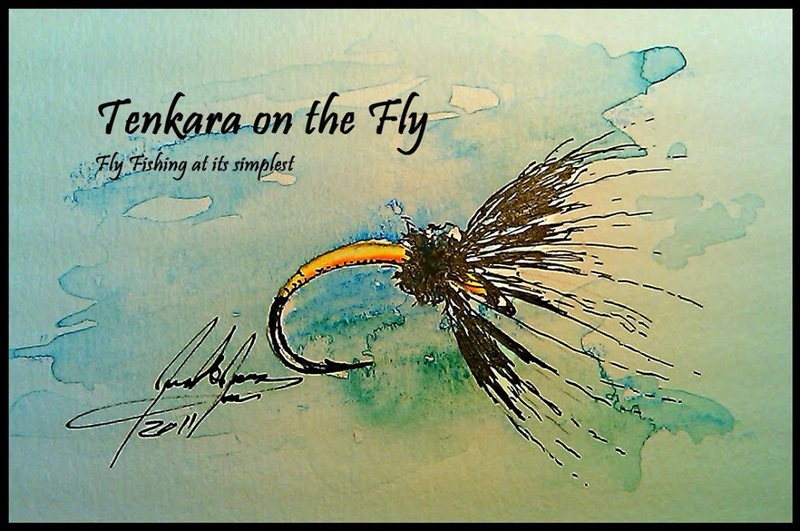 Tenkara on the Fly: Happy Thanksgiving! Where I grew up, we didn't celebrate Thanksgiving. But we also didn't celebrate Halloween, Veterans Day, Presidents Day etc. We did celebrate Boxing Day, also called St. Stephan's Day, though (Dec. 26th) and others. Having lived for more than 11 years in the States, I became to appreciate Thanksgiving a lot. It's a holiday focused on family and friends and the things you are thankful for. I am thankful for having an awesome, smart and beautiful daughter (who loves to tie flies with me). I am thankful for my beautiful wife that totally gets my fishing obsession and need to get outdoors. More often than not she actually sends me fishing, saying I need a mental health day (I guess I become a crank after a period of no fishing). I am thankful for being healthy, having a job and being able to pay the bills and keep the house warm in the Winter and cool in the Summer. And I am thankful for having friends that care about me and who share with me that little obsession called Tenkara. And that's it. Enjoy the turkey or tofurky (you know who you are), be merry and be thankful. A Happy Thanksgiving to you and your family. Happy turkey day. I'm proud to share this land of the free with an angler like you. Thanks guys! Hope you enjoyed Thanksgiving and maybe even got a chance to fish?